There are some fantastic vets that, for a consultation fee, can help guide you if you're really struggling with your cat's health condition and want some sound advice about diet. Please review the categories below to see if whatever question you have is already answered. I find that about 95 percent of the inquiries I get from people are on issues that are already covered here or elsewhere in the site. I like to help people whenever I can, but please realize that my time is limited for doing this and one of the reasons for the FAQs is to improve the chances you can find what you need to know from this site. How much and how often to feed? Is this diet for all cats? My cat won't eat this food; what should I do? Give up immediately and fill a gravity feeder with cheap kibble. There are so many different factors involved in how quickly and enthusiastically a cat will accept a new diet. If you're still leaving dry food out all and allowing her to "free-feed" off that, then you're not letting hunger work in your favor. You're not doing your cat any favors by feeding dry food. Sometimes it's best to switch your cat first to a quality canned food, and then start sneaking very small amounts of the raw food into that food and slowly increasing the amount over time until the transition is complete. Get the dry food OUT of your house. Your cat can probably smell it and will hold out stubbornly if she knows it's there. Devoted kibble addicts often have a difficult time accepting the new food, so you have to employ some tough love, and gather your own patience while honing your feline manipulation skills to get your cat eating healthier food. Don't be in a mad rush to get your cat switched over. I hear an awful lot of stories of people who give up when their cats don't instantly take to the new food. Remember - the idea is to make the transition. Not to make it overnight. Proceed steadily in the right direction, slipping small amounts of the new food in with canned. Don't rush things. When I first dove into raw feeding many years ago with two former kibble-loving cats, I took three weeks to get them moved over to the new diet. Other people with more cats or older animals took two months or even longer to fully get their crew on all raw. Take the time you need and don't hurry. Should I switch my cat to this food "cold turkey? That's a tough one to deal with in a few sentences that give a one-size-fits-all answer. Frankly, the speed at which you should switch your cat will depend a great deal on your cat's age, temperament, health, and the diet she has been eating up to this point. If your cat has only eaten dry food previously, I strongly urge you to ease her off the dry food and get her eating regular meals of a quality canned food slowly first. The next step is to sneak in small amounts of the raw food mix in over time. There really is no easy answer here, but as a general rule of thumb, I suggest to people that unless they have a very young cat or kitten, it's best to go slowly. Take at least a week to ten days to fully transition an adult cat, and that's presuming the cat is at least already off of all dry food. Raw food is very different from commercial food in many ways, and it's best to give your adult cat's digestive system a bit of time to slowly adapt to the new food. Kittens? They're magnificent at devouring raw food in remarkable quantities and switching them over is usually fast and relatively painless. I have certainly known people who switched their adult cats "cold turkey" and their cats did just beautifully, seemed oh-so-grateful to finally have real food to eat, and showed no sign of anything different other than overall better well-being, "miraculously" improved stools, and satisfaction with their new food. But I have also seen instances of people whose cats took to the new food with gusto initially and then either vomited the food or had a day or two of digestive problems. In these cases, it's clear the transition was made much too quickly. Don't shock your cat's system. Ease her at an appropriate speed on to a healthier diet. Think it through and try to "see" the situation from your cat's perspective. If you have a fully grown cat that has been eating nothing but meat-flavored cereal (dry food) for several years, suddenly expecting her to be able to enjoy and easily digest a much richer food based on animal proteins--as opposed to all those plant-based proteins and carbohydrates--is unrealistic. And it can be a shock to the cat's system. You don't want to shock your cat's system. Use common sense when switching your cat over to a new food. Don't expect her to transition to an entirely new way of eating in one or two meals. That said, don't give up too soon either. The single biggest mistake I see people make time and again is to say that their cat "won't touch" the new food and then panic and fill up the bowl with dry food. Then, shock of shocks, kitty won't be hungry when the next raw meal is offered. Strike a healthy balance that treats your cat's system gently enough to safely transition her over to better food. I don't believe in starving cats into submission when it comes to eating. For a cat that's been on a high-carbohydrate diet, the risk of a cat getting hepatic lipidosis (fatty liver disease) from going for too long without any food is just too high for my tastes. That's why I recommend switching first to canned and then slipping the raw food into that. If I've said it once I've said it a hundred times: You have got to get the dry kibble out of your house. Use whatever combination of the following works and makes the most sense for you and your cat: a reasonable amount of hunger, manipulation and trickery, and plenty of patience. How about if I soak the dry food in water until it's completely soft to change the texture and then add raw to that to trick my cat into eating the new food? Dry food, when moistened, is essentially transformed into bacterial soup. The bacteria load is extremely high in dry food. Add water to the mix, and you've just created an ideal environment for fungi and bacteria to multiply. When you moisten dry food, for example, you make it possible to quickly grow fungi in the food resulting in vomitoxin, aflatoxin, and mycotoxin production. 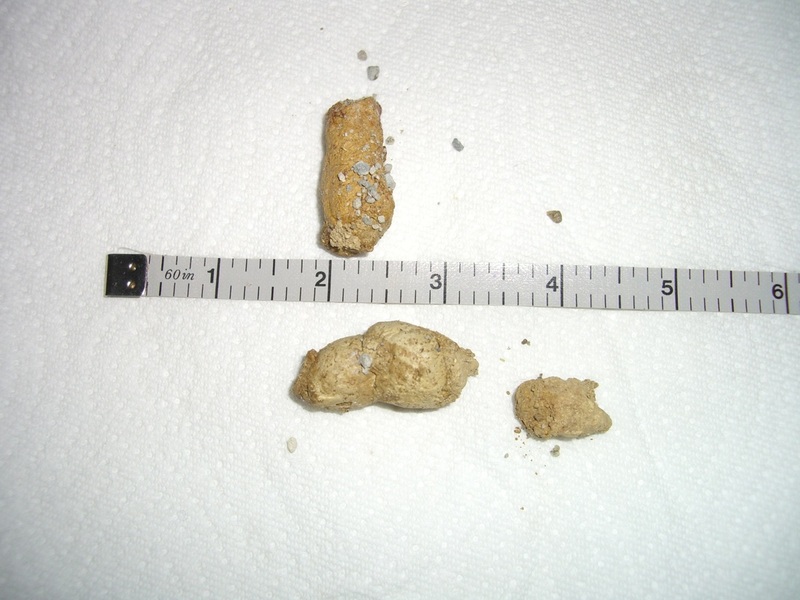 Vomitoxin is a toxic substance produced by mold that can (and has) contaminated wheat used in dry pet foods resulting in serious illness and even death. My cat is addicted to dry food and refuses to eat anything else. What do I do? I'll repeat here some of the advice that's on my page on feline obesity. If you have a devoted and stubborn dry food addict on your hands, the first thing to do is to stop free-feeding kibble. This is absolutely essential. First, you must get your cat off of dry food. If your goal is to eventually feed raw food, then once your cat is on canned food, you can start slipping in small amounts of the raw food into the canned and then slowly increasing the amount of raw and decreasing the canned. Be patient. Be very patient. Yes, it takes some patience to get a cat off of dry food and onto something healthier, but consider how much time it would take if your cat develops diabetes or some other disease and you're forced to spend time, money, and energy coping with that. You must stop free-feeding dry food, or this will never work. I know, I'm being repetitive. That's deliberate. You want to get your cat moved on to a good, preferably grainless, canned food as quickly as possible, but you do not want to starve her into submission and risk hepatic lipidosis by permitting her to go without any food whatsoever for longer than 18 to 24 hours. If you have an overweight cat, then you must be exceptionally careful. It's not safe to let an overweight cat go longer than 24 hours without food. Hepatic lipidosis becomes a serious concern once an overweight cat has gone without food for 48 hours. Hepatic lipidosis is a condition in which fat accumulates in individual liver cells and is a real risk for overweight cats that stop eating altogether. Without food, the body starts sending fat cells over to the liver to process lipoproteins for fuel. Lipoproteins are composed of a simple protein and a fat component that carry fats in the blood. Left untreated, the liver can fail and the cat can die. The veterinary literature suggests that about 70 percent of cats will recover from hepatic lipidosis if they are hospitalized and fed via tube feedings. Who wants to put their cat through that? No one. So, again, remember that starving an overweight cat is not an option. They cannot 'live off their fat.' Their fat, in fact, can kill them. So be mindful of this as you approach a sensible weight loss program for your fat cat. What are some acceptable bribes to use to get my cat started eating the food? If your cat likes cooked meats, put a small amount on top of the raw food. Dr. Lisa Pierson recommends a probiotic called "Fortiflora" which has a very tempting flavor to cats. It's flavored with the same yummy-to-cats flavor that the big pet food manufacturers use to make kibble taste good to cats (because without flavoring, cats wouldn't be interested in eating cereal). For many folks, Fortiflora is a game-changer! A sprinkling of parmesan cheese works well for getting some cheese-lovin' cats to dig in. A very small amount of the juice from canned tuna in water can work. I suggest using this sparingly; remember that your cat should never eat tuna for long period of time, as it can rob the cat's stores of Vitamin E and cause a painful condition called steatitis. Don't use this as a first resort. If you must (although this is certainly not a first choice), grind your cat's favorite dry food in a clean coffee mill and sprinkle a small amount on top of the raw food. Decrease the amount of dry food you use this way as quickly as you can. A sprinkling of "liver flakes" that can be purchased at some pet food stores is also a very tempting way to persuade your cat to dig in. Bear in mind that some cats instantly take to raw with little or no fuss. Younger cats, especially, seem to adapt very quickly to the new food. Even some older cats make the switch to healthier food with no reluctance whatsoever - as though they're relieved that you've finally figured out how to feed them fresh, real food that is much closer to what Mother Nature intended than anything you could offer out of a can or a bag. Finally, bear in mind that some cats do better trying to eat a new food if you try feeding them in a new place that's quiet, private, and away from other cats in the household. Are there any kibble-eating cats that take to raw without a hassle? Absolutely yes! I am continually amazed at how many adult cats make the transition smoothly to raw food with minimal or no fuss. I like to think that their bodies have been craving the superior nutrition and are relieved to finally get a chance to take it in. Case in point - and yes, I am shameleslly bragging - is Wilson, a.k.a. "Mr Wonderful." He came to live with us in March of 2011 and had eaten kibble for 4.5 years prior to arriving in Raw House. Within 48 hours, he was eating exclusively raw food. I simply offered it, along with other options (canned plus some of his kibble), and he showed me immediately that he recognized the raw as food and took a couple of tentative nibbles. I knew we were on our way. I took up the canned food and gave him the choice of kibble or raw. After all, he'd only been in the house one day and I didn't want to multiply the stress from all the big events and changes he had just encountered. He showed a clear preference for the raw food, and by Day Two I put the kibble away and he settled easily into the new diet. The point is - don't assume it's going to be a battle. If you do that, you also telegraph your own stress and tension which cats, sensitive beings that they are, pick up on. Go into the transition away from kibble with confidence and a light heart. Yes, it makes sense to be fully prepared with all the bribe treats and other tricks up your sleeve. Enter the Transition Project with faith in your cat. I can only find chicken liver, but I want to serve turkey or rabbit. What do I do? Use chicken liver (preferably from free-range chickens) for your batches. I wouldn't suggest trying beef liver as a substitute, as it seems to be extremely rich and causes some cats to vomit. If you buy whole rabbit, usually the amount of liver that comes with the meat is the amount you need. Some raw diets for cats include vegetables, so why don't you use them? In short, because we're feeding carnivores. That said, there are lots of different ways to prepare raw diets. I advocate keeping anything out of the diet that is not species-appropriate. I also work with many people who have cats with inflammatory bowel disease, and as I often note, these cats are the feline equivalent to the "canary in a coal mine," being the first to exhibit problems when anything that is not appropriate to their species is in the diet. Some people add pumpkin, squash, and other vegetables as a fiber source. That's fine if your cat is okay with it. I simply prefer to rely on psyllium as a non-carbohydrate fiber source and keep the diet simple and as close to mother nature's diet for cats as I can. I certainly don't have the monopoly on the only correct or acceptable way of feeding raw to cats. This site merely reflects what I've found works best and what it is that I've come to understand is a way of feeding cats that makes good sense. I'm confused about glandular supplements--what should I buy? You're looking for a supplement that contains actual glands--not a supplement that contains herbs or plants designed simply to enhance glandular health in humans, which may contain herbs or other plants. In other words, the ingredient list on what you buy should say things like "thyroid, thymus, adrenal etc." and not contain ginseng or other herbs. For example, click here to see what I use. By the way, if you use that link? You get a sweet discount on your first order from iHerb. What kind of B-complex vitamin do you use? Can I substitute cod liver oil for salmon oil? No. Salmon oil is in the recipe to provide a rich and bioavailable source of Essential Fatty Acids and cod liver oil is not a substitute. For more on this, see my supplies page. How about fish? Can I make this diet using fish? After all, my cat loves fish. Can I feed fish please, Anne? In my view? There are just too many arguments against feeding fish regularly to make it a safe, healthy choice as a staple of a cat's diet. There are a number of problems--some well established facts and others that are somewhat open to question--that make feeding fish regularly, whether raw or cooked, pretty gosh darn inadvisable. At least from the digging I've done. The problems stem from both what's in fish and what's not in fish. So far, I count eight distinct 'strikes' against the idea of feeding fish, raw or cooked, to cats. Whole fish, even with bone, is far too low in calcium for a cat. Remember: if you're making homemade cat food, one of the most important things to get right is the ratio of calcium to phosphorus. You have some wiggle room here, but not much. A whole ground fish would be low in calcium. And while the high phosphorus is not good for any cat, elevated phosphorus levels are something you most definitely wouldn't want to feed a cat that is suffering from any kind of kidney problem. Raw fish contains high amounts of an enzyme called thiaminase--an enzyme that destroys Vitamin B-1 (thiamin). A thiamin-deficient diet can lead to neurological problems and seizures in cats. No good. While I'm on urinary troubles, let me interject something here. Curiously, the discovery some time back of magnesium as a culprit in feline urinary tract disorders was accompanied by the development of specialized 'urinary tract' formula foods. The idea with these foods was to add acid to the food, reasoning that magnesium crystals develop in alkaline, not acid urine. The problem is, cats whose urinary tract acid is too high are prone to another type of crystal--calcium oxylate. Just another reason it's best to feed a cat a diet that nature intended. As Dr. Elizabeth Hodgkins points out in her book, the rise of urinary tract diseases in the cat coincided exactly with the increasing use of dry kibble to feed cats. But I digress. Heaven knows, cats absolutely adore the taste of fish. Anyone who's ever opened up a can of fish within a 12-city-block radius of any hungry feline knows that. But you can quickly end up with a 'fish addict' on your hands. And the last thing you need is a cat on a hunger strike refusing to eat anything but an inferior fish diet. There is a great deal of persuasive research suggesting that predatory fish (those at the very top of the food chain and the same ones often found in pet food or used as 'treats' for cats) have extremely high levels of heavy metals such as mercury--in addition to pesticides and other toxins. A 2004 study published in Acta Neuropatholgica discovered neurological disturbances in young kittens fed daily with tuna containing the US FDA-approved level of mercury (0.5 ppm). A US Environmental Protection Agency (EPA) study in 2007 revealed a possible disturbing link between feline hyperthyroidism and the chemicals in fire retardants--that mimic thyroid hormones--and cats' consumption of canned food with fish. In the study, cats eating canned fish were exposed to polybrominated diphenyl ethers (PBDEs) at levels five times higher than cats eating poultry or beef canned foods. Felines love tuna, but eating it long term can deplete a cat's stores of vitamin E and create conditions that lead to an extraordinarily painful condition called steatitis, with symptoms such as hypersensitivity to touch and loss of appetite. Huuuuuge bummer for the cat and for you. You'll find tuna in lots of cat foods for the very reason that it's tasty to cats and draws them to the food. But it has nothing to do with healthy, safe, or necessary nutrition for cats. Fish are allergenic. To my mind, it just makes little sense to feed something that is more likely to create a allergic reaction than something that isn't. Dr. Jean Hofve wisely advises against feeding fish and suggests that it be reserved as a very occasional and special treat--certainly no more than once a week. If you're determined to give your cat a treat once in awhile, go for something like small bits of dehydrated chicken liver or freeze-dried chicken hearts. But skip the fish. If you must give treats, make it from something that had fur or feathers, not fins. It's just much kinder to and safer for your carnivore. Full disclosure: my Nettie the Wondercat, when she arrived in her more mature years where it's critical, absolutely critical, that she stay interested in her food - loved these crumbled on her food now and again. I thought this diet was attempting to reverse engineer a cat's natural prey. There are no Vitamin E or salmon oil capsules in a mouse, so what's the deal? Darn it, you got me. Seriously, you're correct that this diet is an attempt to create a mouse. But because there are usually limits to what we have to work with to accomplish that, we have to find ingredients and supplements to make up for nutrients that are lost by virtue of the fact that we're not serving fresh, whole prey and are instead buying meat, processing it (i.e., cutting it up, exposing a good deal of its surface area to air), and - for the sake of convenience and sanity -storing it. And in storing or freezing anything, you're going to lose some nutrients. Remember too that even if you're buying a whole chicken carcass, you're still not serving a truly WHOLE carcass. The brains and eyes of a cat's prey, for example, supply a perfectly balanced ratio of Essential Fatty Acids. Because most people aren't going be serving brains and eyes (unless you've stumbled onto an awfully resourceful and accommodating butcher), we need to do the best we can to make up for it and, hence, the salmon oil. The Vitamin E is there to slow down oxidation of the meat which inevitably occurs once it's cut up or ground. Psyllium supplies soluble and insoluble fiber, such as might be found partly digested and in small amounts in the stomach of a cat's prey, without adding carbohydrates. Extra Taurine is there to make up for what may get lost as a result of prolonged storage or freezing of muscle or organ meat. The Winn Feline Foundation conducted an important study of raw rabbit diets for cats and learned that despite the high levels of Taurine in rabbit meat, cats fed this diet suffered from serious Taurine deficiencies. The study posited that it was possible that the bacteria in the carcass of ground rabbits or in the intestines of the cat broke down some of the Taurine. Whatever the reason, because Taurine is such a critical amino acid for cats--both for their digestion as well as their heart function--adding extra to a cat's raw diet is very wise. Taurine is absolutely essential when it comes to steering clear of heart muscle failure in cats (dilated cardiomyopathy), and is also important in preventing feline central retinal degeneration which can cause blindness in cats. Finally, commercially raised meats are simply not as high in many of the nutrients of free-range, naturally-raised animals that are fed a truly species-appropriate diet. Similarly, egg yolks are added to the recipe that I use because they supply such a truly "perfect protein" and are a very nice polish to the diet, particularly if that diet is prepared using something other than perfectly fresh, species-appropriate-fed meat. Obviously, feeding live mice, other rodents, or small birds that came from their natural environment is by far the best food for our carnivores. Since most of us aren't going to feed live, fresh prey, we are left in our kitchens to reverse engineer what they would get in that environment. How much of the raw diet should I feed my cat? Honestly? I don't know. There is no one-size-fits-all answer. Often, cats first switched to raw will eat voraciously for a few weeks when they're first transitioned and then they level off. As a very rough guide, I can tell you that in my house, each adult cats eats about 200 grams (7 ounces) each day, split between two or three meals. Okay, okay, more like four on days when I'm working from home because they won't tolerate anything less and Wilson knocks over lamps if I don't feed him when he thinks it's time. If you use the one-pint can-or-freeze jars to store your food, they hold about 400 grams of food, so one container will last you two days if you have one cat. Unless your cat is different. Which he probably is! Bear in mind that the weather, your cat's activity level, and mood all affect appetite. I found that when the weather gets cold, for example, my petite little female cat could easily eat almost twice as much as her big brother. Generally speaking, the rule of thumb is to put out as much food as your cat wants for 30 minutes, then take away what they don't eat. Very quickly you'll learn what the right amount is for your cat. Don't make this part too complicated. I pull my hair out a little when I get emails asking for precise amounts to feed based on a cat's weight. I want to help you, I really do, but I don't know how much your cat should eat. So try the amount suggested above and judge from there. If your cat is overweight, see my page on feline obesity. If your cat is too skinny, feed more. After well over a decade of feeding this diet to my cats, I've found their weight has been stable. And I definitely don't measure out or weigh what I feed at every meal -- I eyeball it. If they're really hungry, they'll ask for more food and usually get it. Particularly if Wilson knocks over a lamp. That's when I surrender. If they don't eat the same amount one day as they did the previous, I just take it up. They seem to know what they need. And because this diet isn't laden with grains, I don't fret about obesity. That said, not all cats seem to regulate their intake wisely. Our Sidney-Beans, left to his own devices, would eat nonstop - literally until his stomach is so full that he throws up. So with him, I'm a little mindful that there's wisdom in a little portion control. The point is - every cat is different. If you have a kitten, remember that she is a voracious little carnivore eating machine and will need not only to be fed more times each day, but will eat more food per pound of body weight daily than an adult cat. A kitten arrived in our lives in May 2011, and the only answer I have when people ask, "How much food will I need to feed my kitten?" is "More than you ever thought possible. Way more. " How many times a day should I feed my adult cat? Two to four times a day works well. Before I was working from home, I fed my own cats three times a day--once upon waking, again after I get home from work, and again before bedtime. Now that day servant to feline overlords, they eat quite a few smaller meals throughout the day. Or else Wilson breaks lamps. We all do what we have to do. What about between-meal treats or snacks? Honestly? I don't feed those very often, so I don't have a lot of suggestions. But if you're determined for your cat to have something like that now and again, look for dehydrated meat treats or another similar, cat-tasty, grain-free something. It's better not to go overboard on treats. Allow your cat's digestive system to get a rest between meals. It's not natural or healthy for a cat to have 24/7 access to food. I have to work long hours and my cat could go up to 12 hours without food. Should I just leave some dry food out? Heck no! A healthy cat can quite easily go a few extra hours without food. You'll come home to a hungry cat who will likely eat her meal with great gusto and gratitude. Remember, a cat in the wild isn't getting fed on a strict schedule. Giving the digestive system a rest without the cues of smelling food is a very, very healthy thing to do for your cat, though she may try and convey to you that this is not the case. IS THIS DIET APPROPRIATE FOR EVERY CAT? I read on another raw feeding website that the recipe and approach you use is only for toothless cats. Is that true? In my opinion and experience - no. The website you're referring to is a staunch advocate of feeding only whole meats and the folks who put that website together are very much against using grinders to make cat food. Their reasoning, which I agree with to a point, is that teeth are the cats' grinders, and that caregivers who grind the food are denying cats the many health benefits of using their teeth to tear apart whole raw carcasses. I am in full agreement with that. This website also claims that because feeding ground food "encourages speedy gulping," the food arrives too rapidly into the cat's stomach and doesn't provide time for digestive acids to be fully excreted - potentially causing indigestion or irritation. The meats we are using for cat food contain bones that are considerably larger than that found in a small cat's natural prey. The thigh bone of a chicken is considerably larger than the thigh bone of a mouse or a robin, for example. To achieve the overall balance in a cat's diet, the approach is to serve different elements of the diet for different meals - raw meaty bones, then some muscle meat, then some organ meat - going for a general proportion of 80 percent boneless meat, 10 percent edible-sized bones, and 5-10 percent organ meat without about half of that being liver. My experience with most folks is that there is a strong preference for the convenience of having all the necessary elements of the diet in every meal, so as not to have to keep track of the various discrete ingredients. Convenience isn't the only factor at play in feeding a cat, of course (kibble is very convenient, after all), but convenience does tend to encourage people to stick with a new habit. The lion's share of individuals that I work with who are switching their cats to raw have cats that have been eating dry food most or all of their lives. Many of these cats are addicted to the flavoring in dry kibble and the switch over to canned food, then raw, is often challenging and extremely frustrating for caregivers. Throwing in the additional expectation that Fluffy has to eat a whole carcass amplifies the challenge for the caregiver - and my goal is always first to get cats switched to a healthier diet (canned at least, raw when possible and appropriate). So many people abandon the effort altogether when their cats won't switch from kibble to canned - I stand a much higher chance of helping people to make the transition to raw food if I don't up the ante by insisting that their former kibble addict eat a whole chicken leg. I believe it's possible to meet much of a cat's need for the very healthy act of shearing and tearing and gnawing at raw meat by feeding large chunks of muscle meat regularly - presuming their oral health is up to snuff to be able to do that. More than a few website visitors have reported that their cat happily gnaws on a whole carcass (a good thing!) but that kitty avoids the big bones. I am just nervous enough about ensuring a cat gets a balanced diet - whether at each meal or over time - to be concerned that this kitty is getting too much meat and not nearly enough bone. My concerns may be overblown, but I have to stay inside my comfort zone on this one. It has never been my experience, nor have I seen any studies to suggest, that a cat eating ground food doesn't produce sufficient digestive acid or is more prone to suffer from digestive upset. Quite the contrary - the effect that raw feeding has on a cat's overall digestive health is decidedly positive, at least based on my experience and that of others who have successfully used a raw diet to cure feline inflammatory bowel disease. Believe me, I don't think grinders are "natural" either. But my hope is that my colleagues who take a different approach using the whole prey model can appreciate and respect my position - and what my own experience has taught me. I really do not believe there is only one right way to do this. We agree, too, that a cat's oral health is very much affected by diet. Dry food doesn't clean teeth - it never has and it never can. I'm a big believer in taking whatever steps are necessary to protect and maintain a cat's dental health - including feeding chunks of muscle meat if kitty will eat them and having regular professional dental exams and cleanings when called for. I have seen and known cats eating a fantastic diet that have lousy teeth - and I have seen and known cats eating horrible dry diets with no sign of any periodontal disease. I'm satisfied that my cats are getting an extremely balanced diet that reasonably mimics that which they'd catch, kill, and eat in the wild. But I don't - and I suggest that you don't - dismiss the importance of texture as a core component to factor into the overall move toward a diet that imitates the whole eating experience mother nature designed them for. Is this diet appropriate for a diabetic cat or a cat with chronic kidney disease? For cats with chronic kidney disease (CKD) special attention is required in managing the overall amount of phosphorus in the diet – the recipe that’s on my site with bones, therefore, would definitely not be appropriate for such a cat. I've read that kittens have special nutritional requirements and need higher protein-content foods; what ingredient adjustments do I need to make for feeding a kitten? Not different food. This is a high protein diet appropriate for all 'life stages' - although, as I mention above, special adjustments and precautions may be necessary for cats with certain medical conditions. Kittens are eating machines. Their daily food requirements, in terms of quantity, are higher. If you find yourself with a kitten and you're making home-prepared food, be prepared to make a lot of food. 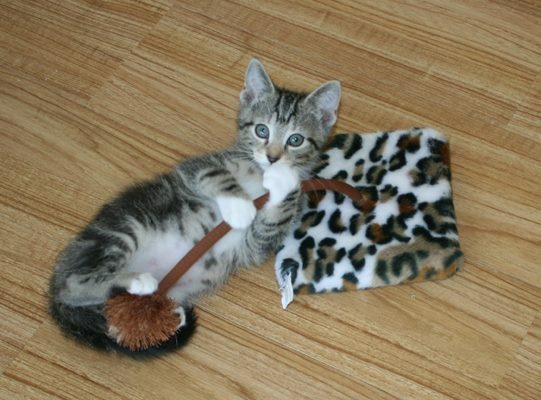 What steps are involved in making the transition to raw food for a kitten? Step One: Put the food on a plate and stand back. Step Two: Adjust your work hours, home chores, and really your entire life to account for the fact that since you're committed to making home-prepared food for the little bugger, you'll be needing to make it more often. There are few things more satisfying than seeing a youngster get such a great start in life. They get pretty darn excited about raw food. Small, light, crumbly, and not smelly. Should I be concerned that my cat is drinking much less water since switching to the raw diet? That's extremely common. It's especially noticeable in cats that were previously eating dry food. Cats were designed by Mother Nature to get their moisture WITH their food. And that's exactly what happens when you feed a good, balanced raw diet. You should, of course, still have fresh drinking water available for your cat at all times. My cat's stools are much smaller and lighter-colored than before. That's common, desirable, and expected. If you're not feeding your cat all kinds of poorly digestible or species-inappropriate ingredients such as vegetables and grains, then it stands to reason that your cat is going to produce less waste. A lot less waste. Really, you'll be flabbergasted. Weird as it is, I've included a photo of a raw-fed cat's poop here. Indeed, that's how deeply I care about making sure you're well-informed on all aspects of raw feeding. I must be devoted to and passionate about making sure you understand the effects of raw feeding to photograph and measure stools. So about now you may be feeling that familiar tug that says, "Gosh, she really cares! I should consider financially supporting this website." Another of the more welcome surprises from raw feeding is the dramatic reduction in stool odor. Think about it: You can boast to your friends, "My cat's sh** doesn't stink." That alone is worth something. I'm intrigued with the apparent benefits of this diet, but when I mention it to my vet, s/he became upset and said I shouldn't do it. While many vets are extraordinarily knowledgeable and gifted people, many of them have very little understanding of the basics of feline nutrition. Some have relied for years on advice or knowledge from the pet food industry and nutritional education has not been an integral part of their training. The genesis of this website was my open letter to vets which remains an impassioned plea to them to "try harder" on the issue of feline nutrition, a subject near and dear to my heart. Diet should not be an afterthought in considering what's best for an animal's health, and to my mind, the pet food industry's advice is simply not an acceptable substitute for your veterinarian's critical thinking on an issue that's so terribly important. Try discussing the issue at a time when s/he isn't rushed, and offer to supply your vet with some unbiased information on feline nutrition to help explain that you've put some thought into the matter. And do put some thought into the matter first--don't just listen to one person's advice or give a cursory read to one or two websites on the issue. A very good place to start a discussion is by talking about the terrific JAVMA article on cats as carnivores that appeared in the December 1, 2002 edition of that professional journal. That article does not explicitly advocate raw diets, but it offers extraordinarily sound reasoning on why and how feeding cats ingredients such as grains can be very detrimental to a cat's health. Starting the conversation there is a good place to begin, as you may find common ground on which you can build. If your vet hasn't sought out a copy of Dr. Elizabeth Hodgkins book - which, among things, is very supportive of a raw diet - then suggest it to your vet. Or even better, spring for a copy and offer to donate it to the library in the vet clinic reception area. Also, if you like, feel free to print off a copy of and share the "open letter to veterinary professionals" on this website. You'll have to judge if that's a good idea - some vets will be (understandably) skeptical of anything written by a lay person. Their skepticism is not entirely unwarranted. I've seen some pretty appalling advice doled out on raw diets by lay people. But then again, I've seen some pretty dreadful advice doled out on raw diets and commercial diets by veterinarians. Some vets are, quite understandably, concerned that even if they think a raw diet is a good idea, their clients will not make the diet properly and will put their cats at risk for nutritional deficiencies. In this case, they are absolutely correct: if a raw diet is not prepared correctly, it can be disastrous. Vets know that, but a big problem is that even if they theoretically support the idea of a raw diet, they aren't familiar enough with the basics of how to do it correctly to advise clients and default to suggesting a commercial diet. People who leave out, for example, a calcium source in cat food or routinely ignore the basic principles involved in making and serving cat food correctly would be better off just feeding a quality canned diet. If you're not going to make it correctly, then you shouldn't make it. But if you are going to make it correctly - which is certainly not a difficult thing to do - then calmly continue the discussion with your vet. Remember, many vets reflexively dismiss the idea of raw diets out of hand out of genuine concern about the potential to do it wrong. Sadly, still others are passing on "urban legends" and scare tactics that are found in literature supplied by the pet food industry. If you are absolutely determined to make this diet and your vet still objects, then you may want to find another vet. If your vet raises concerns about bacteria, don't get defensive. Instead, it may be worth reminding him or her that a cat has a much faster gastrointestinal transit time than humans or even dogs and is therefore much less susceptible to "food poisoning." For more information on food safety issues, please read the next subject. Shouldn't I be worried about bacteria and parasites? Yes, a little, so take sensible precautions. First of all, remember that cats are not humans and are not nearly as susceptible to the problems from eating raw meat that affect humans. A cat has a very fast gut transit time - about 12 hours compared to 35 to 55 hours in humans - which gives very little time for bacteria to multiply in the intestines. Don't forget: a cat is an obligate carnivore that was built by Mother Nature to eat raw meat. That said, no food you feed your cat is without risk. You'll have to decide if the potential risks from feeding raw food outweigh the long term risks to your animal's well being from feeding commercial food. It's your decision. You have a good deal more control of what is going into your cat and the quality of each individual ingredient when you prepare your cat's food yourself. Exercise that control responsibly. When possible, try to procure meats from free-range sources as the bacterial counts and the possibility for parasite contamination are considerably lower in meats from animals raised in better conditions. One of my favorite online essays on this subject is available here. Don't leave the raw food sitting out for hours at a time. Offer your cat her food and after 30 minutes, dispose of anything that is left behind. Take the same precautions handling raw meat for your cats as you would for yourself and your family. Clean all surfaces that touched raw food thoroughly. Wash your hands after preparing or serving the meals to your cats. Don't let small children have access to your cat's raw food. Wash your hands thoroughly after cleaning the litter box, too. And remember, it's not just cats that eat raw food who can pass Salmonella through their feces. That said, I have never seen any data to suggest that cats on raw food have more Salmonella in their feces than cats on canned or dry food. Salmonellae has been found in commercial pet food too. Moreover, in August 2002, the Journal of the American Veterinary Association published an article noting that a good number of healthy dogs and cats carry Salmonella, but this does not necessarily equate to any clinical disease. That article noted that the "prevalence of isolation of Salmonella from feces of healthy dogs is reported to be between one and 36 percent, and from healthy cats between one and 18 percent." And please: don't eat any of the raw cat food yourself. The Journal of the American Animal Hospital Association (AAHA) published an article in its November-December 2003 issue on Salmonella in two cats fed a raw-meat diet. If you read the article closely, you'll see that both cats were unhealthy and, from my reading, were apparently not terribly well cared for. One was an unneutered (!?!) 14 year-old male with matted hair, lymphoplasmacytic infiltrates within the lamina propria (the connective tissue located just under the epithelial cells), mild pneumonia, and an ulcerated tongue. This cat had a history of weight loss, soft stools, and anorexia. Another was a recently vaccinated kitten with severe pneumonia, a severe nasal discharge, and bilateral corneal opacity. The kitten's lungs were mottled. Finally, the article notes that both cats originated in the same multiple-cat household and the affected animals may have had an altered immune status or environmental stress. The older cat also had a Bordetella infection "incurring additional immunological and physiological stress with compromise to local pulmonary defense mechanisms." What we don't know is: where the beef used to feed these cats came from; whether it was beef that was intended for human consumption (or one of those lower-quality, pre-packaged "BARF diets" that make me very nervous); how the caregiver prepared and served the beef; and whether the caregiver was careful about not letting the raw meat sit out for hours or even days on end. The article notes that the referring veterinarian told the client to discontinue feeding a raw beef-based diet to her cats. If I were the veterinarian, I'd certainly recommend the same thing. Something is clearly terribly wrong with the food being served in that household. So, how concerned should we be about what this very interesting article says? If two healthy and otherwise well-cared for cats - that we knew were served a properly and safely prepared balanced diet consisting of fresh meat from a reputable source intended for human consumption - were stricken down by Salmonella and died, then indeed we should be extremely concerned. However, a careful reading of the article suggests that the cats were neither healthy nor well-cared for. Nor do we know whether the meat came from a reputable source. Consequently, because we don't have answers to such key questions, these unfortunate incidents do not constitute a blanket indictment of all raw diets. I'm disappointed to report that this article has already been badly misused and misrepresented for just that purpose--with one veterinary site even implying it was a broad-based "study" of the issue of raw food and Salmonella in cats. I urge a close reading of the AAHA article - and very strongly suggest that you don't rely on second- or third-hand interpretations of what it says. Don't run away from the issue of parasites and bacteria in cat food. Understand the issue, respect it, and make informed choices on the meats you select and how you serve the food. That same article notes that healthy adult cats "appear to have high immunological resistance to the development of clinical salmonellosis." In one study, the article notes, "experimental infection of healthy cats required inoculation of infectious organisms in numbers far exceeding those likely encountered in natural infection." Translated into less scientific language, this means that it's very difficult for cats to succumb to Salmonella poisoning. Finally, remember that the US Centers for Disease Control reports that in human cases of food-borne salmonellosis between 1973 and 1984, contaminated beef accounted for the majority of cases at 19 percent. Behind that was turkey (nine percent), pork (seven percent), and poultry (five percent). Another CDC study published in December 2004 concluded that healthy house cats are generally safe with regard to excretion of Salmonella in the environment. I'll say it again: If you're going to feed a raw, home-prepared diet, you must do it correctly. No cheating and using cheap sources of meat unfit for human consumption. Don't even think about using the raw meat that is routinely fed at greyhound race tracks (which is taken from rendering plants and thus has already been deemed unfit for human consumption). No leaving raw food out for hours or days at a time. And never forget that there is risk with anything you feed. Respect those risks and take steps to minimize them. If you're not going to source good quality fresh meats and prepare and serve the food correctly and safely, then please just buy a quality canned food quality canned food and serve that. Don't put your cat at unnecessary risk feeding by a raw diet incorrectly. But also don't fool yourself into believing that canned and dry foods are entirely safe either. If you decide that the long-term risks to your cat's health from feeding commercial foods outweigh the risks of raw feeding, then do yourself and your cat a favor and prepare and serve the food properly. The bacterial count in dry food can be very high and the danger of toxic levels of aflatoxin contaminating dry cat food is always present. In December 2005, for example, various US news media outlets reported that one of the nation's largest pet food producers recalled products in 22 states after receiving reports that the food caused death and illness. At least 17 dogs died from the contaminated food, which was found to contain an overgrowth of a toxic substance produced by fungus that grows on grains (including corn) called aflatoxin. This was not the first time that aflatoxin poisoning in pet food made the news and companion animals died as a result, but it is the most recent and vivid example of the folly of believing that dry food is somehow safe and 'sterile. I can only guess at the the cases of contaminated pet food that we do not hear about, or about the cats and dogs that fall ill from the food they're eating but which no one thinks to link to diet. A decade before the 2005 story broke about the deaths from aflatoxin poisoning, another big company was forced to pull thousands of tons of dog food off the shelf after consumers complained that their dogs were vomiting and losing their appetite. At least 25 dogs died. Many dry pet foods are drenched in fatty flavor enhancers that provide an extremely hospitable environment for the growth of bacteria and fungus. And those bags of food are generally stored at room temperature and go unconsumed for weeks or months. As one vet friend recently observed, it's almost laughable at how quick many vets are to warn clients about the risk of feeding fresh meats that are stored in freezers but don't think twice about selling bags of potentially contaminated dry food with no admonition about the real dangers associated with deadly bacterial overgrowth on those products. It's difficult for me to not get very discouraged by all the effort and energy that many vets and pet food companies put into scaring off clients and consumers from feeding a raw diet, essentially whitewashing real evidence that dry food can kill (sometimes quickly, sometimes slowly) and turning a collective blind eye to the long-term dangers of feeding dry cereals to carnivores. The misinformation and strawman arguments used by advocates of feeding dry food is repeated so often on pet food industry websites and from under-informed vets and veterinary technicians and receptionists in vet clinics that many people take it as truth. But repeating lies over and over doesn't make them true. Soon, myths and a deliberate twisting of the truth comes to dominate the lexicon, and many people who might otherwise consider feeding a healthier diet to their cats are scared off, without the opportunity to weigh the hard facts and evidence first. I had trepidations about feeding raw meat to my cats. I was terrified of Escherichia coli, Salmonella, you name it. At that time, I had only begun researching the issues related to feeding raw, and I found a very discouraging polarization that was unhelpful in making decisions: there were the "raw folks" who seemed annoyed if you even asked questions about parasites and Salmonella. They seemed overly defensive and annoyed at anyone even raising the issue. At the other end of the spectrum were the selected individuals in the veterinary community and the pet food industry with their grave warnings about all the risks associated with raw feeding. Permit me a soapbox moment here: I know so very many cats these days are susceptible to infections, chronic (and expensive) urinary tract woes, skin allergies, vomiting, diarrhea, IBD, and so on. There are so many animals with very weak or compromised immune systems. What I've come around to in my own thinking is that we help to create weak cats. We over-vaccinate them, we follow nutritional advice from vets who are not necessarily well informed on nutrition from unbiased sources, we feed steady diets to carnivores of meat-flavored cereal laced with toxic preservatives, and we jump to immediately suppress all symptoms with drugs like prednisolone when they're sick. But if we can find a way to minimize whatever has the potential to weaken the immune system, then it stands to reason that cats will be in better shape to fight off the bad stuff thrown at them. For my money, nothing beats feeding a cat the diet that nature intended for them to eat - raw meat, bones, and organs. To be sure, feeding a balanced raw diet is not the answer to everything. However, I think you get an awful lot of bang for your buck feeding this way. Diet, after all, really is the brick and mortar of health. For what it's worth, in all the years I've been doing this, I'm struck that I've yet to hear of anyone having an animal or a human become ill from properly feeding raw from good meat sources to cats. I'm not saying it hasn't happened somewhere. I do, however, worry about the cats who could benefit SO quickly and easily from being fed a properly prepared raw-meat based diet but who won't ever get the chance because someone who is misinformed dismisses raw feeding out of hand for reasons that are not well thought out. Make your decision on whether to feed raw based on sound science and informed reason. Not on fear. I've heard that animals can choke on bones. How safe is it to feed bone? Feeding cooked bones is never a good idea. They can splinter and cause serious damage. Raw bones are much softer. I advocate grinding all bones in a meat grinder, since most of us are unable to feed whole prey animals that are the same small size as a cat would hunt, kill, and eat (such as mice or birds). It's an excellent idea to make raw cat food using real bone as your calcium source (versus bonemeal or some other isolated calcium source). Finally, remember that bone is more than simply a great calcium source. Fresh, raw bone also contains many important trace minerals that are difficult to duplicate using synthetic supplements. The Centers for Disease Control and Prevention (CDC) says that more than 60 million people in the United States may be already infected with the Toxoplasma parasite. That means 20 percent of us living in the US have already been infected. Of those who are infected, very few have symptoms because a healthy person's immune system usually keeps the parasite from causing illness. The British Association of Medical Microbiologists estimates that between one-quarter and one-half of the world's population is already infected. In the United Kingdom approximately 0.5 percent to one percent of the population acquires the infection each year, so that about 40 percent of people aged 50 or over have been infected. If you are planning to become pregnant, you can be tested to learn whether or not you have already been infected with Toxoplasma. If the test is positive it means you have already been infected sometime in your life. According to the CDC, there usually is little need to worry about passing the infection to your baby if you've already been infected. If the test is negative, you definitely need to take precautions. Here is the important part to remember about cats, their feces, and litter boxes: The problem comes from the oocyst, which is shed in the cat feces. A cat will ONLY SHED oocysts for ten to 14 days after his/her FIRST infection with toxoplasmosa. Even more important - and often overlooked - is the fact that oocysts require 24-48 hours to sporulate, to grow into a form which is dangerous to people. This means if you clean your litter box at least twice a day, you have dramatically reduced the danger of infection from cat feces. Bear in mind that are still other sources of toxoplasmosis - gardening, unsanitary handling of meat, (rarely) blood transfusions, insects, and earthworms. Do the math here: in order to get infected from your cats' feces, the following would all have to be true: You were never previously infected with toxoplasmosis AND your cat would have had to have been exposed to her very first infection and shed the oocysts in her feces AND that shedding of oocysts would have had to occur within a specific ten to 14 day time frame AND you would have had to not clean the litter box for 24-48 hours AND you would have had to ingest some of the infected feces. See why I say that the risk of toxoplasmosis is frequently misunderstood and overblown? Believe me, I don't take the dangers of this condition lightly. It can be a very serious concern for certain people. But admonitions from some medical doctors to "get rid of your cat" without explaining the nature of the risk and the steps that can be taken to avoid or mitigate it do not tell the whole story. Given the above, paying attention to hygiene and getting a handle on your vulnerability to toxoplasmosis makes good sense. If you're in a high-risk population, get yourself tested to determine whether you've already been exposed. Wash your hands and clean under your fingernails thoroughly after handling raw meat. or cleaning the litter box--this alone goes a long way to alleviating the risks of contracting toxoplasmosis. Wear rubber gloves when gardening and when cleaning the litter box. And clean the litter box at least twice a day. I want to make the diet using different ingredients - can you help me? Not very much. I have enormous faith in the balance of this diet and it has served me well for quite a few years. If I didn't already think the recipe was about as perfect as I could manage, I wouldn't use it. I do tinker myself sometimes with ingredients--adding more psyllium and water during "hairball season," for example--but as much as I would like to help everyone who has an idea to start using, say, dried eggshells as a calcium source instead of bonemeal in the "without bone" recipe, I simply don't have the time to do it. It takes time to properly calculate what's needed to correct calcium-to- phosphorus ratio if someone wants to use another calcium source, and I am not convinced that using calcium sources other than what I've suggested is a good idea in the first place. The tinkering I do is really along the margins of the diet and certainly there may be times when you'll need to do the same. My only advice is to be certain that whatever adjustments you might make do not violate the key principles that you simply MUST get right - like making sure the calcium amounts are correct. If your cat prefers her meals more "soupy," than of course you can add a bit more water to the mix. If you're having a problem with hairballs, I think it's fine to add some extra psyllium and water. If your cat is under great stress, upping the amount of B-complex is probably a fine idea. You shouldn't mess with things that put your cat at risk for toxicity, such as by using too much of non-water soluble vitamins like A, D, or E. This is especially true if you're using synthetic vitamins. Please don't ask me to perform a wholesale re-engineering of this diet to suit each person's unique needs or preferences. But beyond that, I simply cannot confidently perform a wholesale re-engineering of this diet to suit each person's unique needs. That said, I do try hard to help as many people as I can who send me questions via e-mail, because I know how much it meant to me to have guidance when I first tentatively dipped my toes in this raw food venture. But please don't ask me to completely reconstruct the diet and perform all the calculations for you to come up with a revised and correctly balanced recipe. I have a busy job and home life, and while keeping up with this website is a labor of love and I will do my very best to answer the questions you have on feeding this diet, I simply cannot reinvent the wheel. I also need some time to make cat food. I advise anyone considering a raw diet to do as much of their own reading as possible on the issue, focusing heavily on information from unbiased sources. You can start with having a look at the resources page. I suggest always asking yourself if a given raw diet recipe is truly species-appropriate or might just be an "adapted dog diet" recipe. And I strongly urge you to invest in a copy of Michelle Bernard's book, Raising Cats Naturally. I don't have the corner on the only way of doing this right. This site simply reflects what I've come to believe is the most sound way I know of to safely prepare a truly balanced and healthy diet for cats. If I come on information that, after careful reading, persuades me beyond 'reasonable doubt' that the diet needs changing or adjustment, I'll change it. I try very hard to keep up with the latest work on feline nutrition from the veterinary journals and am in regular contact with people who have been feeding raw successfully for years. I am a lay person. I'm not a professionally-trained nutritionist and certainly not a veterinarian. Ideally, you should work closely with your vet on any changes you want to make to your cat's diet. Unfortunately, not nearly enough vets are well-versed in feline nutrition to be of very much help, and many default to either reflexively dismissing raw diets or offering to sell you a bag of some prescription food. That said, if you find a vet that really knows small animal nutrition-- and is well-versed in cat nutrition? Jump for joy. If your vet tells you it's fine to feed only raw meat (with no bone/calcium), run like the wind. I'm a vegetarian/vegan and the idea of handling raw meat offends me and grosses me out. I understand that it can be difficult to handle raw meat. Believe me, the first time I got an order of whole rabbits delivered to my door for making cat food I nearly wept and it was everything I had to get through chopping and grinding. But it got easier because I kept in mind that my carnivore friends would have the best shot at longer, healthier lives if I did it. And when I focused on what goes into the manufacturing of many commercially-prepared cans or bags of cat food, I realized that the raw material that went into them was infinitely more gross. Slaughterhouse waste, meat unfit for human consumption, toxic chemicals, questionable preservatives, animal entrails fermented into sprayable liquid mixtures with acid, and on and on. It didn't take long to face the fact that what I was assembling in my kitchen for my carnivores was certainly less offensive than almost anything I could scoop out of a bag or a can. As Anne Martin discovered when she conducted her long, detailed, and thorough investigation into the pet food industry, "companion animals from clinics, pounds, and shelters can and are being rendered and used as sources of protein in pet food. Dead-stock removal operations play a major role in the pet food industry. Dead animals, road kill that cannot be buried at roadside, and in some cases, zoo animals, are picked up by these dead stock operations. When an animal dies in the field or is killed due to illness or disability, the dead stock operators pick them up and truck them to the receiving plant. There the dead animal is salvaged for meat or, depending on the state of decomposition, delivered to a rendering plant. At the receiving plants, the animals of value are skinned and viscera removed. Hides of cattle and calves are sold for tanning. The usable meat is removed from the carcass, and covered in charcoal to prevent it from being used for human consumption. Then the meat is frozen, and sold as animal food, which includes pet food." So to my mind, supporting a place like Hare Today, a small family farm with plenty of pasture space, fresh air and sunshine for animals to roam, a policy of feeding animals that are not caged or fed lousy food, and that is committed to humane slaughtering practices--is infinitely more bearable to ponder than what's in most bags and cans of cat food. Remember, most of the commercial pet food industry is an extension of the food waste industry. The Vegetarian Society cautioned against feeding a vegetarian diet for cats, very correctly and responsibly pointing out that cats "require certain nutrients from meat that cannot be obtained in sufficient amounts from plant foods. These include taurine, arachidonic acid, vitamin A, and vitamin B12." And that's just the beginning. I beg you: do not subject a carnivore to a vegetarian diet. 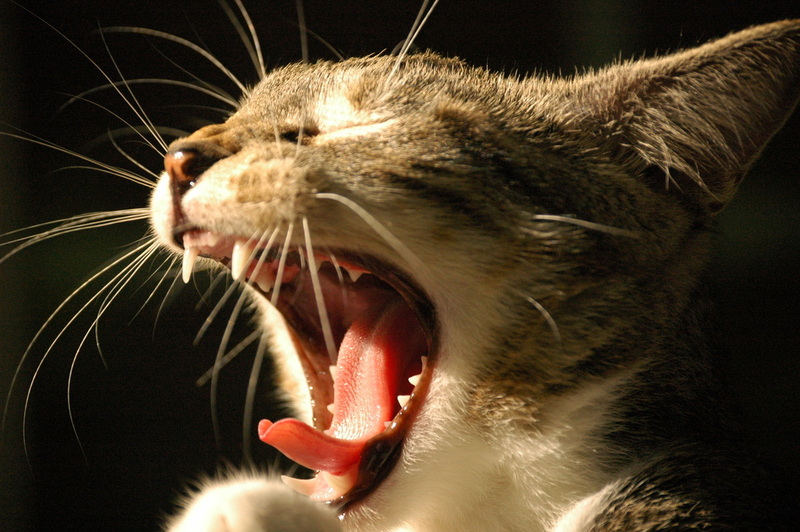 Won't my cat's teeth suffer if s/he's not eating dry food? Doesn't dry food help clean a cat's teeth? The short answers are - no, and no. Dr. Elizabeth Hodgkins summarizes it beautifully in her book, noting that even though most cats today eat dry food, the number of patients that veterinarians treat for serious dental and periodontal disease is tremendous. Dry food, with its high-carbohydrate load mixes with saliva in the mouth to form a yucky, sticky paste that adheres to the gums and teeth much more than wet food. She notes that dry foods, if anything, may even promote plaque and tartar formation - the precursors to gum disease and enamel erosion. And that opens the door to expensive dental cleanings, downstream health issues, and stress and pain for your cat. Catnutrition.org's good friends at PetSage have put together a wonderful little cheat sheet summarizing "10 Cat Food Myths" that includes a nice synopsis about the myth that dry food cleans a cat's teeth. In my experience, some cats seem to have naturally healthy teeth that will tolerate a lousy diet. Other cats seem to show signs of dental distress and problems very early on in life regardless of their diet. So it's kind of a crap shoot. Dr. Jean Hofve says that she's "probably examined at least 13,000 cats’ mouths" and observes she saw no real pattern to the dental and periodontal disease. She notes, "If anything, tartar and gum disease seemed to be more attributable to genetics or concurrent disease (such as feline leukemia or feline AIDS) than to any particular diet . . . If there was any dietary influence at all, I’d say that raw-fed cats had better oral health than cats on any type of commercial food." Dr. Hofve concludes that dry food does not clean the teeth. "If it did," she says, "you and I could floss with toast." A carnivore's teeth are very different from an herbivore's. Carnivores have long canine teeth (those are the big pointy ones you see at the corner of a cat's mouth) to grab and kill prey. To pull the meat off of bones, they use their incisors. Finally, the carnassial teeth - the upper premolar and lower molars - are built to tear and cut flesh. Yes, you, Mr. or Ms. Softhearted Animal Lover. You're living with a little animal-killing machine. Those teeth aren't made for cereal. Anyway, you know how when we humans chew there's a back-and-forth and side-to-side action happening with the teeth? The movement that makes it possible for you to jut your lower row of teeth out in front of your upper row of teeth? Or that lets you move the lower jaw left and right? Not so with carnivores. That fact alone, by the way, is huge. I sometimes think the name of this website should be, "Salivary Amylase is Not Found in Cats!" Not very catchy, though, and I'd probably get lousy Google rankings. This is yet another reason not to feed carbohydrates or plant matter to cats. The un-broken-down carbohydrates, it is posited by some, can form a sticky paste that creates plaque and tartar in the mouth. It's the specific geeky details like these that explain why feeding dry kibble based for dental health makes very little sense. There's probably a little abrasive action on the inside of teeth when kitty closes the top row down on the bottom row with a large piece of kibble. But it's the outer teeth where plaque and tartar form - generally, a cat's tongue will help remove plaque from the inner surfaces of the teeth. Having your cat's teeth and gums examined regularly and, if needed, scheduling dental cleanings (under anesthetic!) by a qualified veterinarian. While it's preferable to never have to subject your cat to the stress and anesthetic of dental cleanings, sometimes it's the very wisest thing to do. Do check out Dr. Andrea Tasi's extraordinarily helpful article on what questions to ask your veterinarian before scheduling dental work on your cat. Read it, study it, print it, and take it with you the next time you're talking to your vet about dental work for your cat. Bear in mind, too, that a cat's teeth can look just fine and still hide serious problems. There's a compelling argument in favor of having a cat's teeth and gums thoroughly checked at least once a year under anesthetic to make sure there aren't issues lurking under the gum-line that aren't visible to the naked eye. That said, I personally have a tough time justifying putting a cat through the risks of anesthesia when there's no obvious reason to take the risk. It's a judgment call. Brushing your cat's teeth. I know more than a few people who manage this with more ease than you'd think is possible. The trick is to proceed slowly and to, early on, link tooth brushing with a pleasurable activity. You don't want to make this a battle, after all. Your cat won't like it and you'll give up. Cornell University has a terrific video on how to approach cat tooth brushing using a four-week program that incrementally introduces cats to tooth brushing. I began brushing my cats' teeth (finally!) in 2011 and it's much less of a big deal than I'd presumed. I pretty much followed the guidelines and tricks on that Cornell University video, though I find that tooth-brushing is more hassle-free around here if I catch the critters when they're asleep. They're two fairly mellow guys and seem to take to it well. Remember - you do NOT have to brush the inside of the teeth, only the outside -- and really all it takes is some swift, repeated swipes of the upper and lower rows of teeth. We use seafood-flavored cat toothpaste here and it seems to be a hit. Feeding regular meals of nothing but large chunks of muscle meat. Granted, many cats absolutely refuse to eat chunks - I had the darndest time with two of my cats when it came to eating chunks. If you're persistent and your cat is hungry, your cat may surprise you. Wilson sure surprised us on this front. When Little Dude (Wilson) arrived in our house in 2011 after years eating pretty much only dry food, he took to raw almost instantly (yes, I know I was very lucky) and, even better, quickly agreed to to eat/shear/gnaw on fairly large-sized chunks of muscle meat. The shearing and tearing action of a carnivore's teeth against raw meat is fantastic exercise for the jaw and goes a long way to creating the pre-conditions for great oral health. Wilson generously agreed to demonstrate in the video below - just know that this is two and a half minutes long. Hey, this ain't kibble munching. This is what it takes for a carnivore to work through just one big ol' hunk of chicken thigh. We're so proud. Hey, this raw feeding seems like it might be a great idea for dogs. Can I feed them this food? Sure. But keep in mind that dogs have considerably more flexibility in their digestive system than cats, so there is quite a bit more wiggle room in preparing a dog's raw diet. If I had a dog, you can absolutely sure that I'd feed raw. Here's a link to a great tutorial on the basics of raw feeding for our canine friends. And so we're perfectly clear on this: We here at catnutrition.org love dogs too. You've convinced me that raw feeding is a good idea, but I just don't have the time or supplies to do it. Is there a next best option? Consider buying a quality pre-made raw diet. This can cost you more money (much, much more money) than doing it yourself, although there are ways to bring the cost down if you're creative. You have to be careful buying pre-made raw diets, as far too many of the ones I see for sale have ingredients in them like vegetables, herbs, and even grains. I shake my head in disbelief, frankly, at some of the pre-made raw diets that are sold that contain ingredients such as bok choy, acorn squash, turnips, celery, garlic, apples, alfalfa seeds, walnut meal, beans, papaya, cranberries, and on and on. Remember--carnivores cannot efficiently process plant matter into beneficial nutrition. They lack the salivary amylase and enzymatic pathways to do that. So if you're going to buy a pre-made raw food, you're going to have to look carefully at the ingredient list. I strongly urge you to steer clear of any diet that contains vegetables or grains. And to make sure that any pre-ground product is contains sufficient taurine. Finally, bear in mind that if you're letting someone else do the grinding, you are putting faith in someone else's hygiene practices. It's a good idea to find out what you can about the cleanliness of their facilities and grinder. This isn't always easy. Feed a truly quality canned or freeze-dried diet (you provide the hydration) that is free of grains and, if possible, vegetables. Wouldn't it be easier and better to just feed whole prey? Maybe. It depends on your cat. And it depends on you. The whole prey model is another method of feeding raw to cats. As I've said, my way of preparing and feeding a raw diet is not the only way. There is certainly more than one way to construct a balanced diet. You can learn more about feeding whole prey -- which involves no grinding and instead serving a variety of whole, raw carcasses -- on several Yahoo egroups, including this one. I haven't been on egroups for awhile now--this website and its emails keeps me more than busy--but there are plenty of smart and supportive people out there with experience that I can't offer, and who have suggestions on how to switch even the most stubborn cats to a prey model diet. If this sounds like it's for you, then please do check out the group and learn more. It's a terrific way to improve your cat's chances of having good oral health and is truly closer to what mother nature intended. If you are careful to source your meats from animals that are themselves fed properly (and unfortunately, many are not), then good ol' mother nature takes care of providing a perfect package of nutrition for your cat and you don't need to fuss with grinding or supplementing. Unfortunately, the issue for many people, like me, is that since I did not start my cats out from kittenhood on raw, their willingness to devour whole prey is not very strong. Heck, I struggled with getting my first raw eaters, Duke and Nettie, to eat the chunks of raw meat that I cut up by hand for years. I think we've created generations of feline hothouse orchids who have grown so accustomed to being served meals of soft food--and who, sadly (either because of bad genetic luck or years of eating low-grade diets) end up with terrible dental woes--that they are being pushed away from being the carnivores they are. And mother nature always rebels when we don't respect the nature of beings. I ran across a very sad fact. Pandas are actually carnivores. So why are they eating all that bamboo in the zoo? The loss of their habitat and prey over the years forced them into eating what was available--they became vegetarians by necessity. And the species has suffered woefully because of it. Having the digestive system characteristic of a carnivore, the giant panda is very inefficient in digesting bamboo, utilizing an average of only 17 percent of the dry matter. Therefore, adult pandas must eat up to 40 pounds per day of bamboo to get enough nourishment. Many spend 14 hours of their day eating just to get at some nutrition. And any panda fans can tell you the problems these amazing creatures have with fertility and health. The panda is a carnivore that has been forced into being a vegetarian. When bamboo flowers die and the years pass for seedlings to mature, this leaves the panda helpless and starving. See what happens when we mess with mother nature? My point is this: those of us living with cats are living with carnivores. If I can persuade people to recognize that--and get them eating a raw meat based diet, I figure I've moved more cats in the direction that mother nature intended. If you can succeed in taking this further--and getting your carnivores to eat truly WHOLE foods--then go for it! I'm satisfied that my cats are getting an extremely balanced diet that mimics that which they'd catch, kill, and eat in the wild. But I don't--and you shouldn't--dismiss the importance of texture as a core component of what it means to move our cats toward a diet that truly imitates the whole eating experience mother nature designed them for. In my case, I have always been concerned about the bone size in many readily available whole carcasses such as chicken or rabbit. A cat that eats around the bone constantly isn't going to be getting enough calcium. I'm not saying it can't be done. I'm just saying I haven't yet mastered a way to do it with my cats that keeps me from spending all my time cajoling them to eat and fretting about whether they ate sufficient amounts of calcium that week. 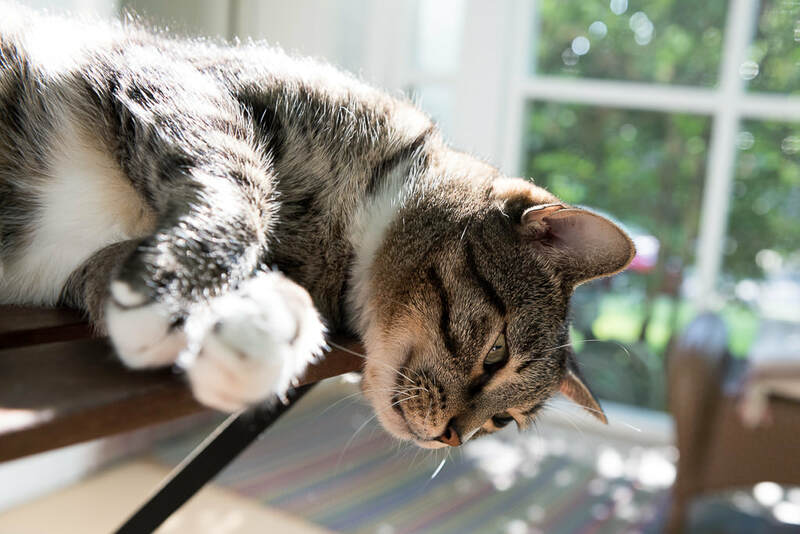 Your cats' ability and flexibility to adjust to a whole prey model diet will depend on a number of variables--your cat's age, whether she has all her teeth, her adaptability, and your patience and time. But this is true of all raw diets. Once you take the step and decide to get your cat off of commercial foods that comes in bags or cans, there's some adjusting for everyone involved. There are some remarkable success stories of people who have taken the time to switch their cats to a whole prey diet. In my admittedly very limited experience, however, many cats who are switched to a raw diet arrive in less than ideal shape and simply getting them to switch over from a lousy dry diet to canned food takes commitment and effort. Then getting them from canned to raw can also take time and patience. My view is that when we decide to make the switch to raw, we have to accommodate the hand we've been dealt. If an older cat that's lost bowel elasticity and has health that is otherwise compromised, it's a pretty titanic accomplishment to persuade the cat to eat an entirely different food. So we do the best we can and make whatever adjustments and compromises are practical. The truly PERFECT cat diet is live prey that a cat has captured and eaten fresh and whole. But if you're dealing with a cat that's missing teeth or who, from years of conditioning, lacks the enthusiasm for chowing down big chunks of whole prey, you do what you need to do to get the cat eating the healthiest diet possible. I strongly encourage anyone who is feeding raw to consider at least trying to feed large chunks of meat and even meat with small, appropriate-for-a-small-cat sized bones. There is nothing more helpful to a cat's oral health than using those jaws the way mother nature intended. I can't answer specific questions about the whole prey model because I don't feed that way. If you're interested in this approach, I encourage you to do some additional digging and to connect with feeders who are experienced in this method. There is a wonderful and thorough website on the whole prey model that I urge you to look at if you're curious about this other method of feeding raw. I am going away on a trip, so what do I do about feeding my cat? Fill a bowl of kibble? Perish the thought! (The bowl of kibble idea). Truthfully, I recommend having a cat sitter come and look after animals when you're away. Be sure to teach your cat sitter how to prepare the food (warm the food in a baggie, don't leave large amounts out all day, and so on. If you don't have a friend, relative, or neighbor you can trust to do the job, check out PetSitters International to help locate someone. In Canada, an excellent resource is here. My friend Lee, who runs a pet sitting service, has a section of her website that has some excellent tips on what to do before you go away on a trip and leave your animals in the care of a petsitter. If you're in the US, also check out Care.com - a wonderful business that pre-screens caregivers, including petsitters. You might also check with your veterinarian's office to see if they have any recommendations and look at the bulletin boards that are up in many pet supply centers for possible leads on a cat sitter. Just be sure to do your homework and due diligence on whoever you select for this very important job. Check references! How often will I need to make cat food? It depends, obviously, on how much your cat eats. A batch made from the recipe that I have on this site lasts two cats just under two weeks, on average. During certain periods of the year cat appetites can soar and a batch won't last that long. The batch size in the recipe on my site appears to feed a kitten for about 12 hours. How much does it cost to make this diet? This is very hard to say, because so much depends on the price you pay for meat, which can vary dramatically. When I first started making batches with rabbit, I paid a staggering price. Thankfully, I learned about Hare Today which supplies excellent fresh rabbit that costs less than half that price, including shipping on ice. Free-range/hormone-free/antibiotic-free meats definitely cost more than conventionally-raised meats, but you can often shave costs by locating other raw feeders and ordering in bulk. Yahoo e-groups has a quite a few groups devoted to regionally-based raw feeders who work together to buy meat in bulk and help source other ingredients. Run a search there on "BARF feeding" and your city, state, or region and see what you find. If you don't find one, perhaps consider setting one up yourself. My rough estimate of how much it costs me to feed my cats is about 90 cents per day, per cat. Chicken and turkey cost less, rabbit and guinea fowl cost more. And remember, my costs might be higher because I'm fussy about using free-range/hormone-free/antibiotic-free meats. And this is only a rough calculation because the other ingredients in the diet--such as the Vitamins, psyllium, and other items--are only purchased once or twice a year and I sometimes get lucky and find items on sale or find online sellers with free shipping promotions. When looking at the cost of feeding a home-prepared diet, factor in the potential costs of not feeding a home-prepared diet. Personally, I view feeding a first-rate diet as money in the bank, as my cats don't spend time (or my money) going back and forth to the vet for digestive troubles, urinary tract woes, skin allergies, expensive diabetes maintenance, or other chronic health problems. Feed cheap, pay later. Feed well, reap the benefits for years. Finally, there is a very comforting peace of mind that comes from knowing that we're doing the best we can manage for these magnificent companions diet-wise, and improving their chances of steering clear of the chronic feline diseases that are so frightfully common these days.